Join us on select Tuesdays from 10:30-11:00am and let your little learner get hands on with science activities at their level. See our events calendar for upcoming dates. Please note that Tots takes a break over July and August when school is out! Adult supervision is required. Daycare groups welcome (check out our Daycare Memberships). Here's an example of an activity we might do. 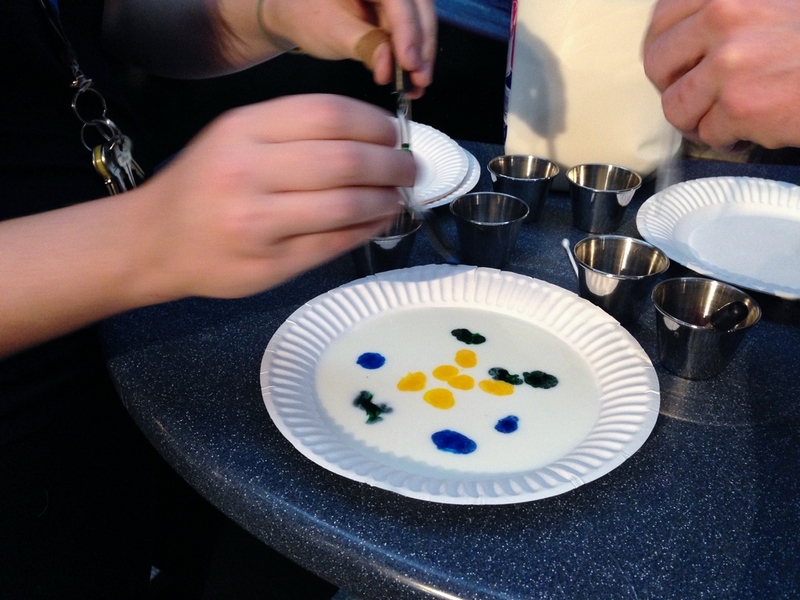 This is called Tie-Dye Milk and we learn about how soap actually works through this colourful demonstration! Usually an activity will go along with an action poem and talking about the scientific concepts that make a demonstration work.